Boxing and gambling have been close relations since the early bare knuckle days, a little too close in relations at times with many allegations of fixing and some strange officiating taking place over the years – however there is some confidence that the integrity of the sport has improved in recent years. In the following article I will go through what you can bet on in boxing, what you should bet on in boxing and why. Easily the most popular bet in boxing, which fighter will win the fight (or will it be a draw). The first thing you should look at is the boxer’s record. There are many resources to use when looking at how a fighter has done previously (boxrec.com being my personal favorite). Before a fight you should check out both fighter’s records, from this you can see how many times they have fought, how often they have gone the distance, the caliber of opponent they have beat, and the caliber of opponent they have lost to. When deciding which fighter to back, looking at their weight can help. Did a fighter struggle to make the weight, has a fighter a better record when heavier or lighter (especially applicable to heavyweights), is their record better against heavier or lighter opponents? If a fighter is prone to being stopped, is he facing an opponent who has a history of forcing stoppages, or is the opponent the type of boxer who goes the distance on a regular distance? Did one of the boxers recently suffer a cut? If so, you can bet your life that the trainer of the other guy will be focusing on that in training, and will have that as part of his fight strategy. Have they fought before? If so, what happened? Did one guy dominate, get lucky, was it highly tactical, or was it an all-out war? Has one of the fighters been in decline since the last time they met, or has one taken a long break and may possibly be a bit ring rusty? Does one of the fighters generally win against a certain caliber of opponent, but when stepping up habitually gets beaten? Did one of the two boxers look particularly confident at the weigh-in? How many rounds is it over? Will a boxer have time to use his stamina advantage? Where is the bout taking place? A home crowd can massively influence the contest, both in terms of lifting the home boxer but perhaps more importantly influencing a judge that may be a “home town” judge? Be very wary of backing a fighter who you think may edge it on points when he is fighting on a rival’s “turf”. All of these questions and more should feature in your thought process before deciding on which boxer to back – having made your decision, make sure you receive value for your bet! Method of Victory – Who will win, and how will they win? Generally the options available are for either a stoppage victory for either boxer, a points victory or a draw. Will it go the distance? – A straightforward bet on whether or not the fight will be stopped. Has either fighter a history of being knocked down, will one fighter keep his distance, jabbing for twelve rounds, will one go all out for a stoppage? Round Betting – Will one fighter go all out for an early finish? Does one soak up his opponent’s punches and go for it later in the fight? Has one fighter said he will knock out the other fighter in round x in the pre- fight press conference? Grouped Round Betting – You have a range of rounds ie 1-3 rounds or 4-6 rounds. Lower odds than round betting, but better if you feel a boxer may come on strong in the last quarter of the fight, or the opening rounds for example. Knockdown Specials – Will one or both fighters be knocked down in the course of a fight? 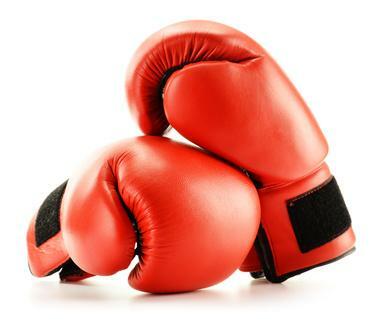 Both to get knocked down could be a good bet in a fight you consider may be an all-out slugfest, neither if the two boxers will just dance around for twelve rounds.